No subtitles or uncomfortable seats? Now this is the kind of opera we can get into! Going to the opera takes stamina. Sometimes you’re expected to sit through five hours of Wagner. Or you have to keep switching your attention from stage to supertitles to know WTF is going on. Just the sheer density of music can fatigue your ears. But few operas ask for sturdy calves and sensible footwear. Enter The Mile-Long Opera, a new creation by minimalist composer David Lang (The Little Match Girl Passion) and two great living poets: Anne Carson (Grief Lessons) and Claudia Rankine (Citizen). This site-specific music-theater piece was coconceived by Lang and the interdisciplinary design studio Diller Scofidio + Renfro as a movable feast: To hear the thing, you hit the High Line. 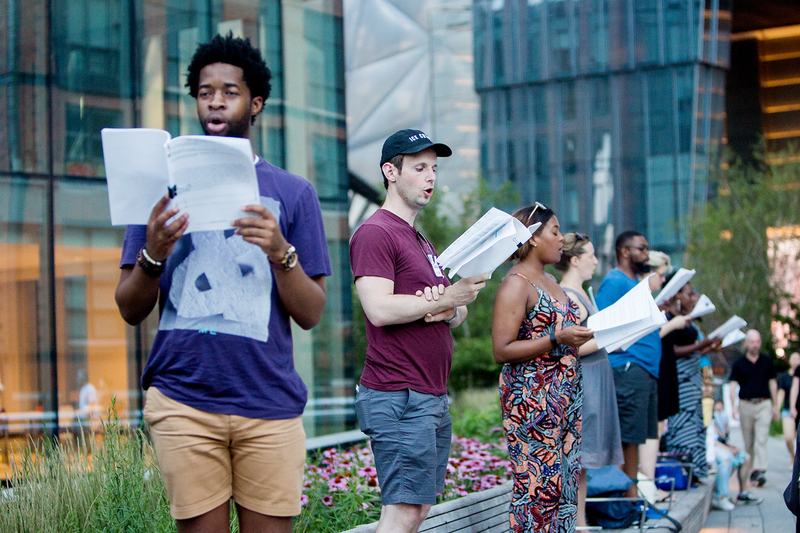 Subtitled “a biography of 7 o’clock,” this ambitious project brings together 1,000 singers from across New York City for five choral performances on the city’s beloved elevated park. To generate the lyrics that Lang set to music, Carson and Rankine canvased the city, asking strangers what “7 o’clock” means to them. For many of us, it’s an hour of transition, falling between dinner and entertainment, between lingering day and true night. Audiences will traverse the length of the High Line, hearing hundreds of stories inspired by a diverse array of Gothamites. Many of Carson and Rankine’s anecdotes were gathered through firsthand interviews with residents in the five boroughs. Lang has set the text to dynamic new music that the massive chorus, led by maestro Donald Nally, will sing. Elizabeth Diller and co-director Lynsey Peisinger will stage the performance as an immense, immersive spectacle—aurally and visually. Best of all, this opera is free and up close. No need for a tuxedo, pearls, or opera glasses. 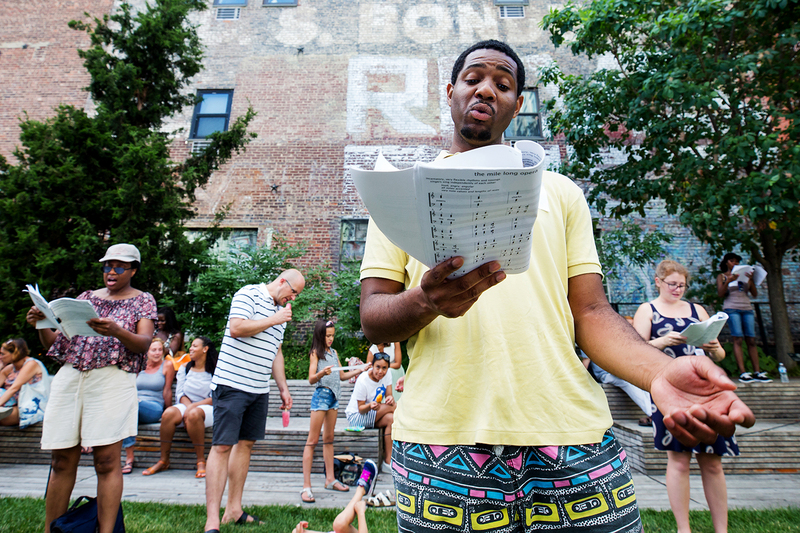 Why You Should Go: One of the greatest living opera composers and two amazing writers explore a magic hour on the High Line.